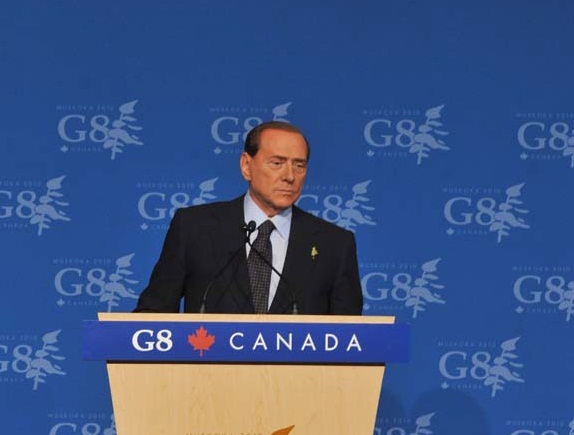 Italian Prime Minister Silvio Berlusconi (in picture) is expected to Bucharest early next week for discussions with the Romanian Prime Minister Emil Boc, and for an Italian-Romanian intergovernmental meeting, according to Mediafax newswire. Bogdan Aurescu and Alfredo Mantica, State Secretaries in the Romanian and Italian Foreign Ministries, announced in January that a new Italian-Romanian government meeting will be held in Bucharest in early May. Such a meeting was held in Rome in October 2008, managed by Silvio Berlusconi together with the then Romanian Prime Minister Calin Popescu Tariceanu. Silvio Berlusconi is the second longest-serving Prime Minister of Italy, after Benito Mussolini. He held this position on three separate occasions: from 1994 to 1995, from 2001 to 2006 and currently since 2008. Forbes magazine ranked him as the 118th richest man in the world in 2011, with a net worth of USD 7.8 billion.